With over 10 years of experience, here at First Impressions, we stock the most extravagant range of Mandaps with that exquisite style to suit all budgets. 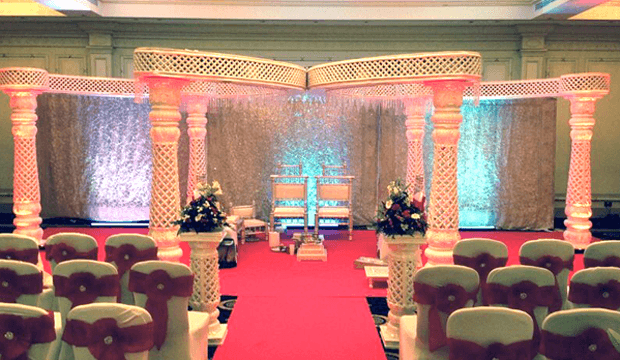 The focal point of every Hindu wedding ceremony is the Mandap – a four or six-pillared canopy, under which the bride and groom are married. 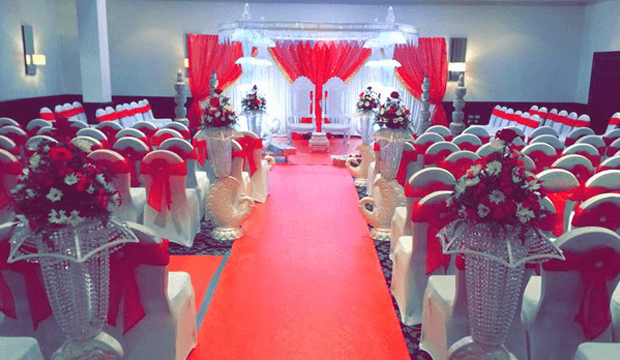 We strive to provide a personal touch of class to your special day by creating bespoke Mandap combinations, making your special day absolutely unforgettable. 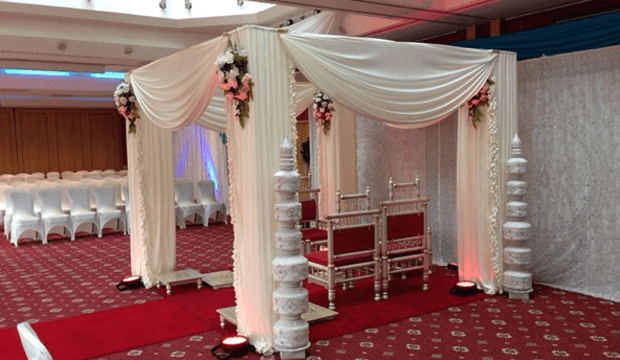 Known for the most exclusive Mandap designs, our clients can choose from traditional to more contemporary designs to suit their likings.